TAKEAWAY: You may get by for a while relying on just one or two sources of income, but to ensure your organisation is solid and sustainable in the long-term you need to be drawing from as many sources as possible. An organisation needs its funding to come from as many sources as possible. While it will continue to stand if one or even a few pillars are pulled away, it's considerably weaker. Reduce the support base to just one pillar, and the organisation's position becomes perilous. Every not-for-profit organisation needs to explore which of the seven pillars are feasible, achievable, and profitable for their particular organisation. Don’t discount any of them out of hand – it’s likely there is some way you could make it work for your group. 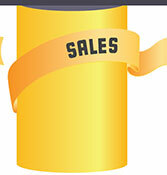 The trick is to be creative and make the fundraising initiative work for you. OUR TIP: For each fundraising initiative or event that you put in place, try to incorporate activities from some of the other pillars as well. For example, if you are running a trivia night, set up a stall to sell your organisation’s merchandise, conduct a raffle, and always make sure that programs or invitations have a donation form attached as well as information on how people can become members. 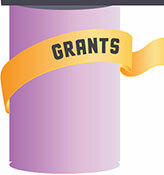 Grants are a very important source of funds for most not-for-profits. Billions of dollars is provided each year by local, state and federal governments, as well as philanthropic, community and corporate trusts and foundations. The trick is knowing how to get your share. You need to know what your group wants to do, and you need to know who might provide the sort of grants that could fit those aims. A Funding Centre subscription entitles you to access to Australia's most comprehensive grants database – it’s an essential tool for any not-for-profit organisation. Smaller groups often think it’s too hard or they’re not worthy to get donations. That’s not true – if you have supporters, then you can have donors. 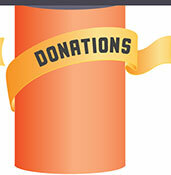 Getting donations is a matter of ensuring you have the right administration processes in place (Our Community provides a free online donations service that provides a handy back-bone – see GiveNow), being clear from the outset about what you would like to do with any donations you receive, and learning the right way to ask. 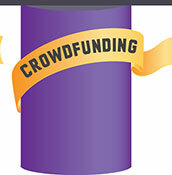 Crowdfunding is an online fundraising campaign for a specific project. It differs from traditional fundraising in a number of ways, but the most significant is the importance of setting a target: the fundraiser sets a target, people pledge an amount – usually in exchange for some form of reward, but sometimes just as a straight donation – and the amount pledged/donated is remitted to the fundraiser only if the target is reached. 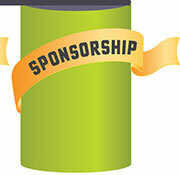 It takes energy and creativity, but it can bring in much-needed funding and attract a whole new audience of supporters. A membership program (or, if you’re a school, university or TAFE, an alumni program) can provide a handy source of regular, predictable and renewable funds for your organisation. Friends-of schemes serve much the same purpose. 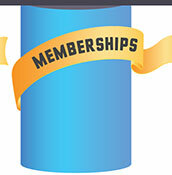 Of course, membership schemes are first and foremost about fostering a sense of belonging among your supporters – you need people’s enthusiasm more than you need their money. But the fundraising potential is also important. Special fundraising events are the lifeblood of many not-for-profit groups, though they can take a lot of time and energy to be truly profitable. Various 'athons - walkathon, runathon, readathon, skipathon, etc. 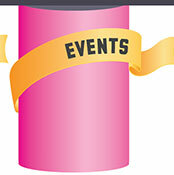 Themed weeks (Movember, FebFast) are becoming a more prominent type of special events fundraising. Almost every not-for-profit organisation has a number of items or services it can exchange for much-needed revenue. When we talk about 'sales' or 'earned income', we mean the money you can make through selling what you know, what you do, what you have, or what you can sell. Money raised through this method is generally untied money – people have already paid for what they want; they don’t expect anything else from you. That means you can use the fundraising dollars raised through this method for pretty much whatever you want. Creating a successful community-business partnership brings benefits to both the business and the not-for-profit involved, and often for the wider community as well.